If agates were gold nuggets, Axel A. Niemi would be the richest man in Michigan. 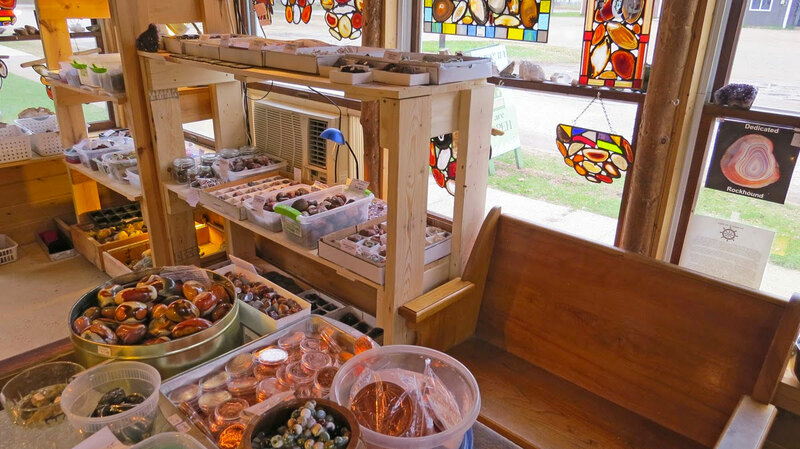 Of all the “rock hounds” who have combed the storm-tossed beaches of Lake Superior for agates, probably none has found as many of the beautiful rocks as Niemi. Today, self-taught in the art of cutting, grinding, sanding, and polishing the semi-precious stones – and with a study course in gemology under his belt – Niemi’s “agate king” title goes undisputed. The 40-year-old collector believes he has found the second largest agate ever discovered in the United States. It is an almond-shaped translucent stone weighing five and a half pounds and valued at $200. Only the 10 ½ pound stone now in the Smithsonian Institution in Washington D.C., surpasses Niemi’s find. Best time for agate hunting, says Niemi, is immediately after a violent storm when deep waves churn the lake bottom and toss up new rocks on the beach. Even then, however, it is no easy job to find the elusive agates. It takes time – and patience.